Castle Rock is a 60 minute scripted thriller television series, which kicked off on July 25, 2018, on Hulu and is broadcast every Wednesday at . The show is currently in its 1st season. Hulu has officially confirmed the renewal of Castle Rock for Season 2. The exact release date is yet to be announced so far. Sign up to track it down. 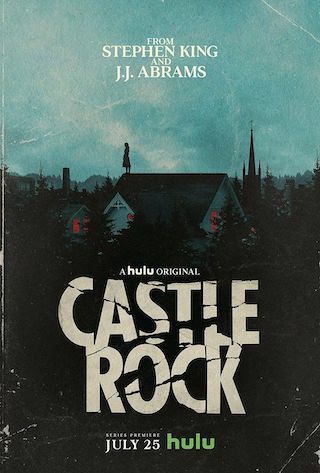 A psychological-horror series set in the Stephen King multiverse, Castle Rock combines the mythological scale and intimate character storytelling of King's best-loved works, weaving an epic saga of darkness and light, played out on a few square miles of Maine woodland. The fictional Maine town of Castle Rock has figured prominently in King's literary career: Cujo, The Dark Half, IT and Needful Things, as well as novella The Body and numerous short stories such as Rita Hayworth and The Shawshank Redemption are either set there or contain references to Castle Rock. Castle Rock is an original suspense/thriller a first-of-its-kind reimagining that explores the themes and worlds uniting the entire King canon, while brushing up against some of his most iconic and beloved stories.